which power supply do you guys use? ROCK Pi 4 supports USB Type-C PD 2.0 with 9V/2A, 12V/2A, 15V/2A and 20V/2A. Also, it supports QC 3.0/2.0 with 9V/2A and 12V/1.5A. And you need a USB Type-C charging data cable. I was also able to power the ROCK Pi4 over the 5V GPIO pins (2 and 4). I provided them with 5V DC with around 30mV ripple out of a 5V/8A buck converter. I’ve done the same with the 5V GPIO pins. I’ve used a standard LM2576 5V/3A setup. Did you do any benchmarking to see what happens when it starts drawing serious current? I only did CPU based stress test, which was fine but didn’t draw some very high current. If I find the time, I might try to charge some USB powered devices over the 4 ports. The limiting factor most likely will be the GPIO pins itself. I think they are normally rated for 1A max? Thanks for your replies. I first tried a normal apple iPad (10W) charger, which worked. But it only has 5V so the Rockpi got an crash during a fullscreen video on Youtube. 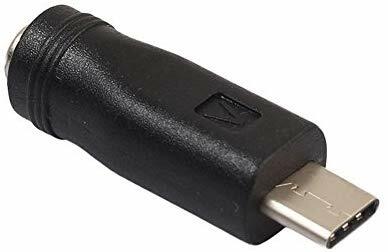 So I ordered this power supply AUKEY USB C Ladegerät with Power Delivery 3.0 27W from Amazon. I’ll give it a try in the next days when it arrives. Is it possible to power the Rock PI 4 from a 12V PSU? Possibly through a cable hack? Or some pins? In order to reduce cabling and improve efficiency I use a 12V PSU to power several SBCs, a switch and a fan. The PSU has capacity left and I consider adding a Rock PI 4 to it as well. Should be possible. I think I’ve red it can be powered with dumb voltage up to 20V. Maybe with this you could do this. Wait until @jack or @Stephen agree to do this. I wouldn’t want you to burn up that beautiful board. Yes, you can power from the type C port with dummy 12V, up to 20V. The 40 pin GPIO power input is limited to 5V. Over 5V input from the GPIO will damage the board. I connected the supplied PD 2.0 Wall Charger to a USB measuring device for testing purposes. The meter shows 5V voltage. Next I connected the Rock Pi 4 to the output of the USB meter, shortly after that RockPI and the power supply will negotiate a higher voltage, namely 9V. originally had only 5V 2,4A connected. That worked fines, as long as i booted fron the sd-card. After adding a 500G NVME it crashed when usingthe NVME-drive. I now changed to an QC 3.0 charger specified for 3,6V-6,5V@3A, 6,5V-9V@2A and 9V-12V@2A. Alle works fine, even when stressing CPU und NVME. I also measured the voltages: it starts @5V and shortly after starting it goes to 9V. As far as I could see, it satys @9V even when I stress the system. Any details on your very interesting USB measuring device? 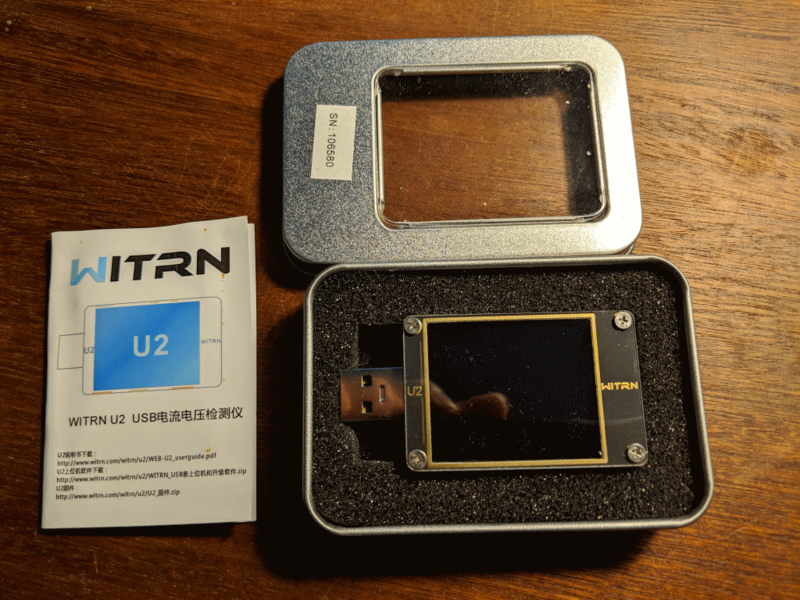 It is called WITRN WEB-U2 USB Power Monitor. However, this is not my first USB measuring device. The first one didn’t support USB type C, but unlike the WEB-U2, it had a built-in USB rechargeable battery. 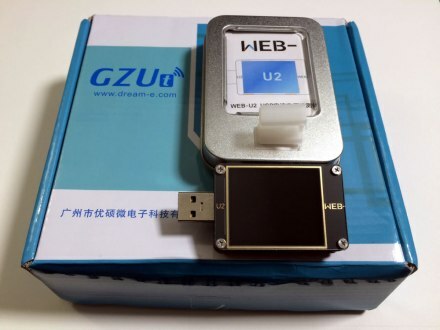 The WEB-U2 must be connected to three USB cables for exact current measurements. 1. supply of the measuring device, 2. measuring input. 3. measuring output. That is certainly not bad, but who buys a measuring instrument for scarcely 40 euro, should know that. I see that there’s a Bluetooth symbol, but nothing mentioned. Can this upload data to a phone or pc? So then a POE Splitter with 12v going to the USB C port is fine ?? Yes. Remember not input 12V to the type C signal pins, on vcc pin on type C.